Sometimes the pumpkins you grow in your garden aren’t big enough to be your Halloween jack-o-lanterns, so what should you do with all of those pumpkins? 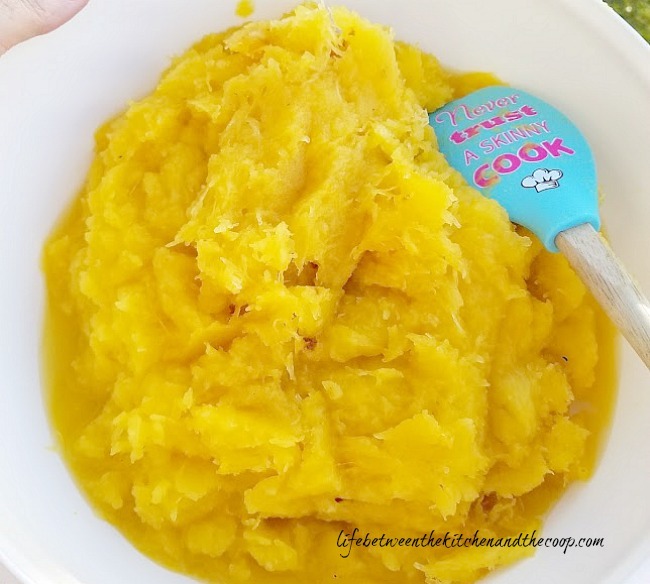 Make homemade pumpkin puree! It’s so easy to do and it can be used to make lots of yummy recipes! 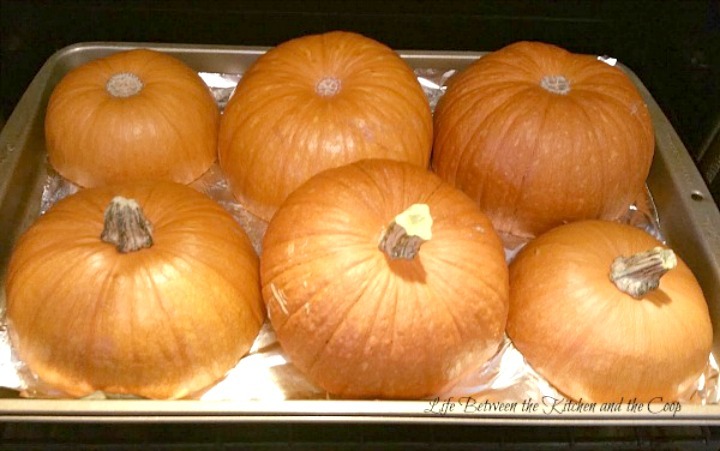 When pureeing our homegrown pumpkins, I sliced them in half horizontally, removed the seeds, and put them guts-down on a baking sheet with foil on it (prepped with cooking spray). Once you have done that, just bake them for about 20-25 minutes, then scoop the insides out of the skin. You will end up with a nice bowl full of pumpkin smush. Next, use a hand mixer or food processor to puree the pumpkin. 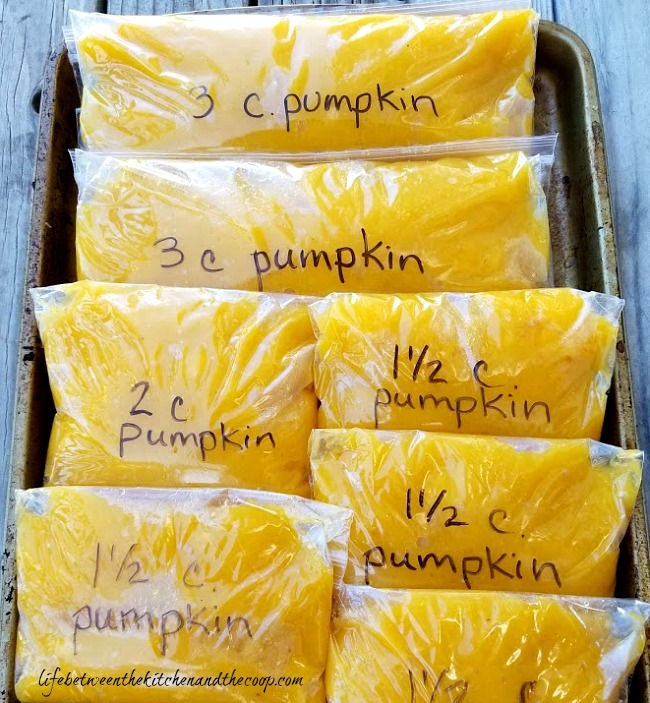 You can put the excess pumpkin puree into a freezer storage bag, press out the extra air, and seal it. Then just toss it in the freezer! Now that you have made all of that pumpkin puree, what should you do with it??? Here are a few ideas from my recipe box! We do not wait for Thanksgiving for pumpkin pie! We usually have it several times in the fall. 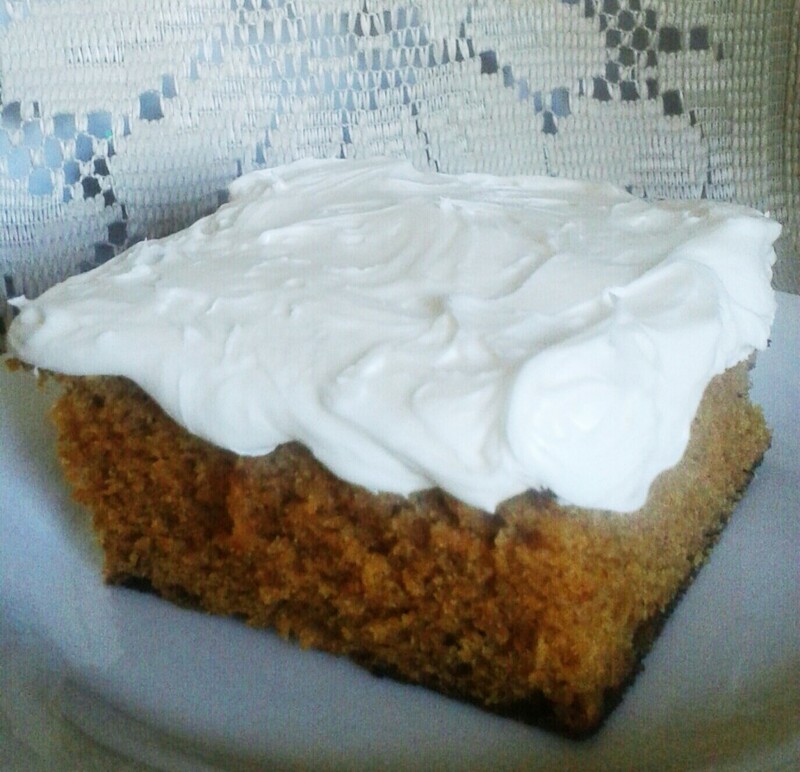 These yummy pumpkin bars are so good with my amazing cream cheese frosting! 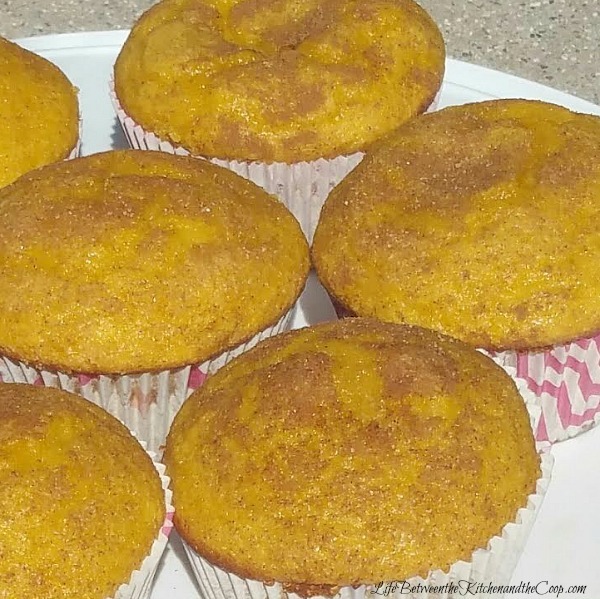 These delicious spiced pumpkin cupcakes don’t even need frosting! Just sprinkle cinnamon and sugar on top before baking! 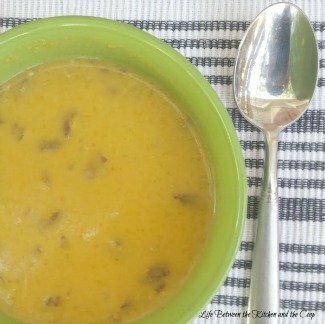 This pumpkin pecan soup is a warm, smooth comfort food you definitely want to try now that cooler weather is here! 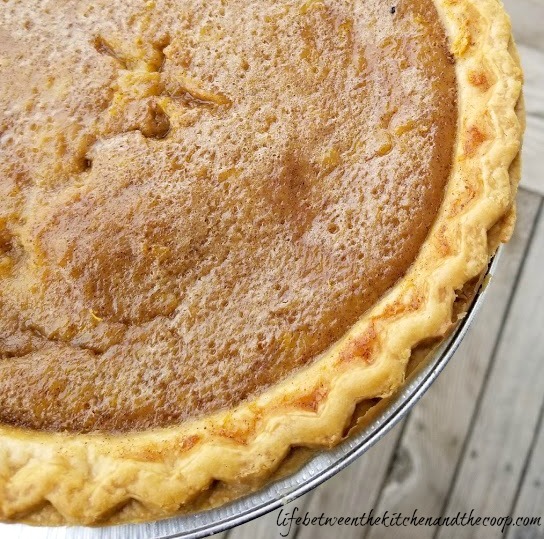 What is your favorite pumpkin recipe? Tell me! I want to know!